More than just a Dad shoe. 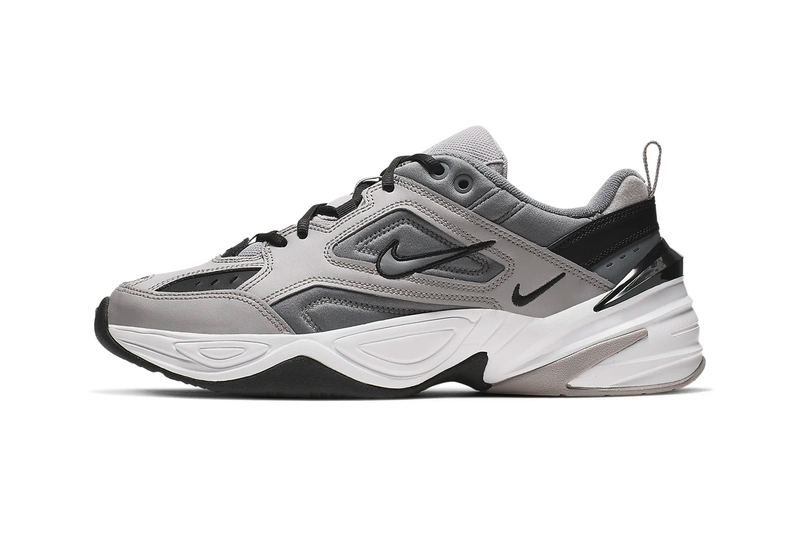 The Nike M2K Tekno’s rising popularity has consistently added fuel to the Dad shoe fire, adding to colorways available the beloved silhouette is now getting a more subtle “Cool Grey” revamp. Constructed with a complex upper mixture of dark grey nylon inners and a lighter leather surface, the heel’s black hardshell mold adds a reflective touch to the dominantly matte finish. The dramatic midsole comes dipped in white for a contrasting detail, finished off with a grey, black and white sole. The Nike M2K Tekno “Cool Grey” retails at $100 USD on nike.com. In other Nike news, get a first look at the Air Max React and React “Tinker Hatfield” 2019. Braving the cold and the rain. Featuring works from over 90 artists.